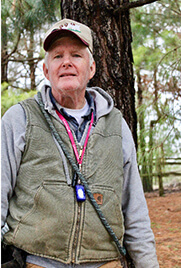 Robert grew up training gundogs with his father Robert, Jr. in the wilds of Grand Junction, and Somerville, Tennessee. Having had more photographs taken of him as a child holding training dummies surrounded by doting nanny Labradors, Robert's interest in the training of retrievers has never waned. 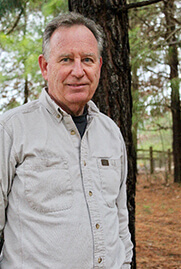 Earning a business degree from the University of Memphis, Robert has worked in marketing and sales for over 20 years in the Mid-South providing the opportunity to continue his interests in duck hunting and training gundogs with his father. Robert served as a Disaster Search Dog Handler with TNTF-1, a FEMA Urban Search and Rescue Task Force. Having served for 8 years, he received extensive training and certifications in disaster response and trained numerous USAR dogs. He deployed to several disasters and hurricanes including Katrina. Having his first duck hunt on the historical Beaver Dam Lake with his father and godfather, he has been hooked on duck hunting ever since. Robert has many years of hands-on experience of working retrievers at his duck club in Tunica, Mississippi where he carries on the 138 year Nash Buckingham tradition of duck hunting at its finest on the nostalgic, Beaver Dam Lake. Because of his passion for the outdoors, Robert also founded and owns Beaver Dam Mud Runners, importing shallow water motors for duck hunters and fisherman and shipping all over North America. 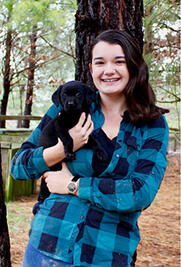 As the new Manager of Duckhill Kennels, Robert is planning to maintain and expand the high standards of the British Labrador breeding and gundog training program, along with the puppy head-start program. Robert will continue to visit the UK for the International Gundog Championships and the Game Fairs where he continues to strengthen those ties so important to the continuation of the Duckhill Labradors. Robert is excited about carrying on the family tradition as the oldest breeder and trainer of British Labrador Retrievers in North America. Jessica is a returning Duckhill alumni. We are glad to have her back, the dogs, people, and clients have missed her. 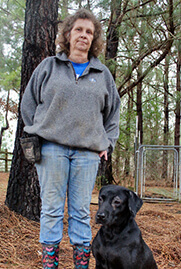 Barb started this Fall, she has been a great addition to the Duckhill Training staff. 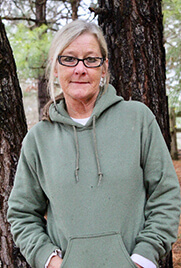 Carol Kirkland, joined the Duckhill Team this winter, she has been a welcome addition. 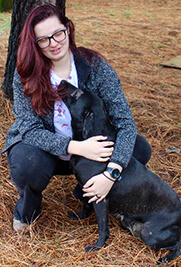 Melody Dawkins, is our photographer, she will be adding dog training to that, this summer. Her future plans are to be a Veterinarian. Mauri Jourdan, returned to Duckhill Kennels to train. "There is no better place to work, if you want to learn from the best. Mr. Milner and his British Labs are exceptional." Mike McNamara joined Duckhill's Staff this winter. He is training puppies, young guns, and CGC. Richard Watson, Puppy and CGC dog trainer. Richard started this winter and has brought valued experience to Duckhill.